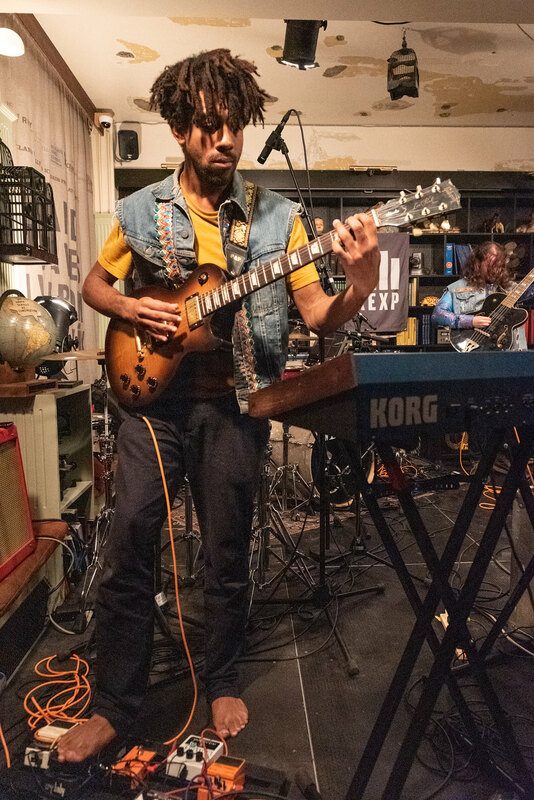 We’ve already seen an array of fantastic Icelandic music here at the KEX Hostel this week, but the 2018 Iceland Airwaves festival boasts a lineup of artists from around the globe. Our first artist from outside the “land of fire and ice” comes with the psychedelic, fusion outfit Flamingods. 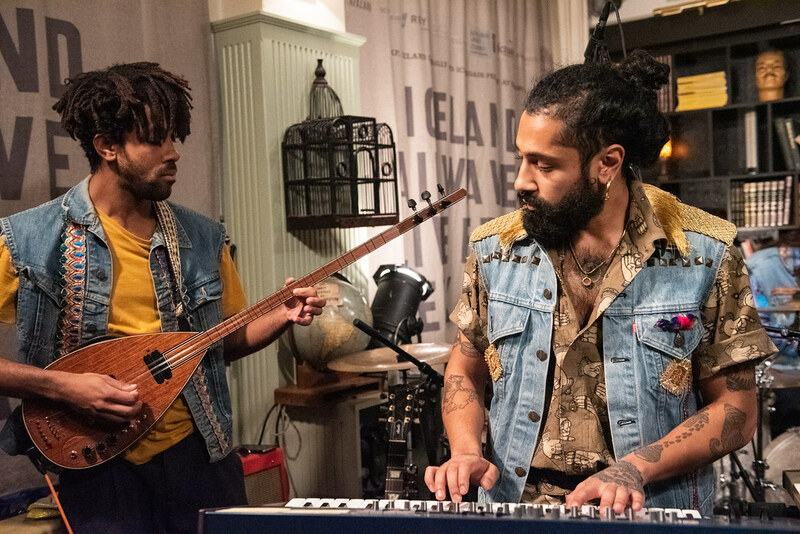 The last time KEXP caught up with Flamingods, it was at another international music festival – performing in 2017 at the Halle de la Courrouze in Rennes, France, during Trans Musicales. 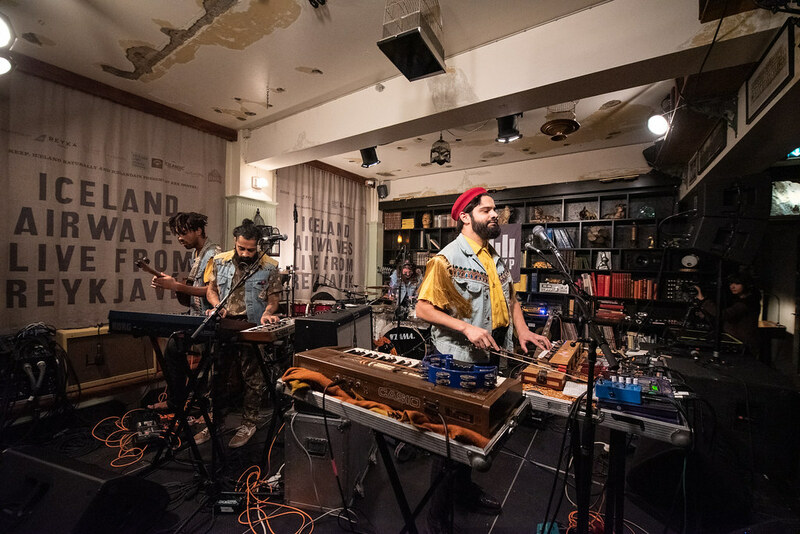 Following Flamingods across multiple countries only feels right as combining elements of music from different parts of the world is core to the band’s invigorating and delightfully disorienting mash-up of sounds. 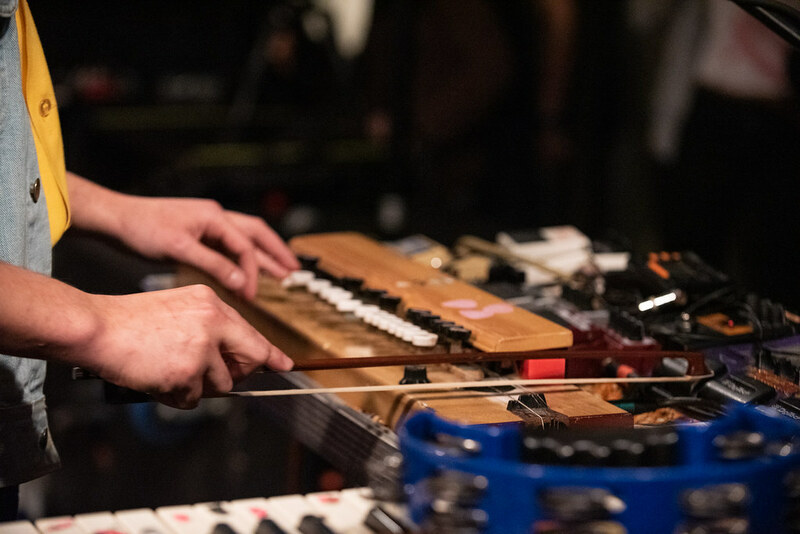 The band’s members hail from both Bahrain and England, but utilize instruments from Nepal, Japan, Tanzania, Turkey, Indonesia, and Thailand. With a healthy dose of the psychedelia that runs through acts like Pink Floyd, Kikagaku Moyo, and King Gizzard and the Lizard Wizard, Flamingods molds their global influences into a mind-warping sound all their own. Right away during their set at Kex, their reputation with a furious onslaught of disorienting sounds and feverish riffs. Each member wrangled their instruments with fierce intent, willing masterful noise to blare out from their amps. 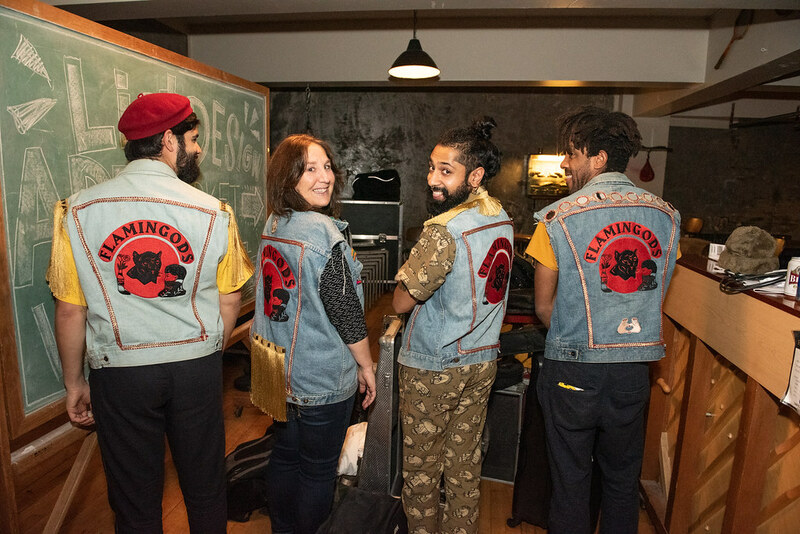 All four members wore matching jean vests emblazoned with their names. The trippy uniform was symbolic of their tightness as a group. 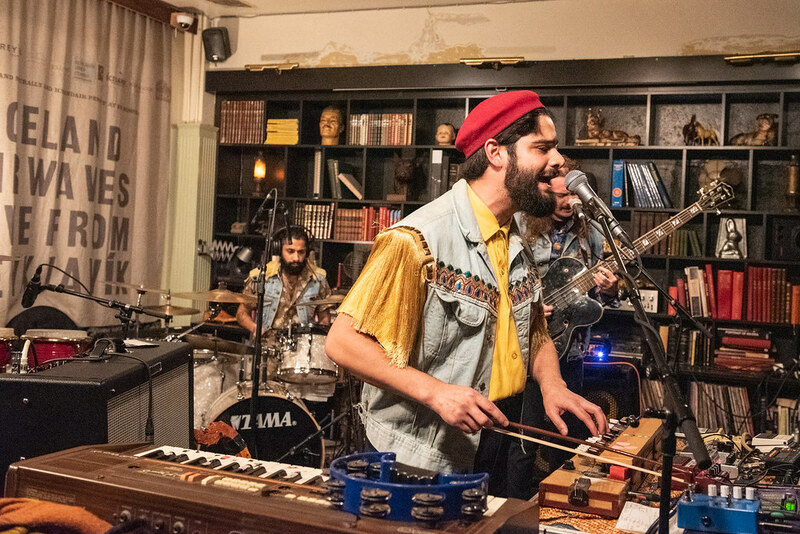 While psychedelic can often get lost in a "jam" or "groove," Flamingods play with strict precision and never lose track of where the song is going. That's a notion that may seem obvious, but if you've ever gotten really into looping on a sweet riff, you know how intoxicating that experience can be. 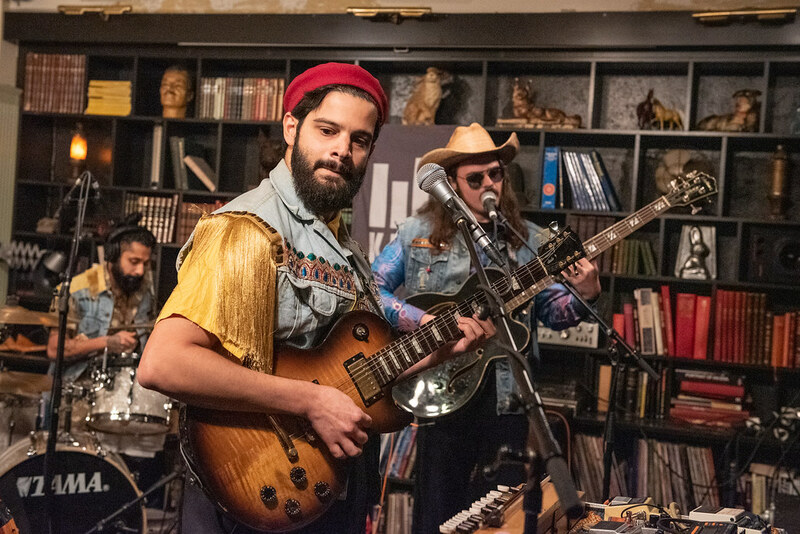 Even still, the band never loses that spirit of spontaneity and feeling like they could dive into the abyss at any moment – swapping instruments and trading places across the stage. This performance also saw the group debuting some songs that are so new that they don't even have names yet. All of the new material expanded on their frayed and wonderfully mangled sound, buzzing with distortion and tantalizing Eastern scales. The room was also abuzz. People danced on chairs, spaced out, and had their minds blown as the sounds bathed the room. 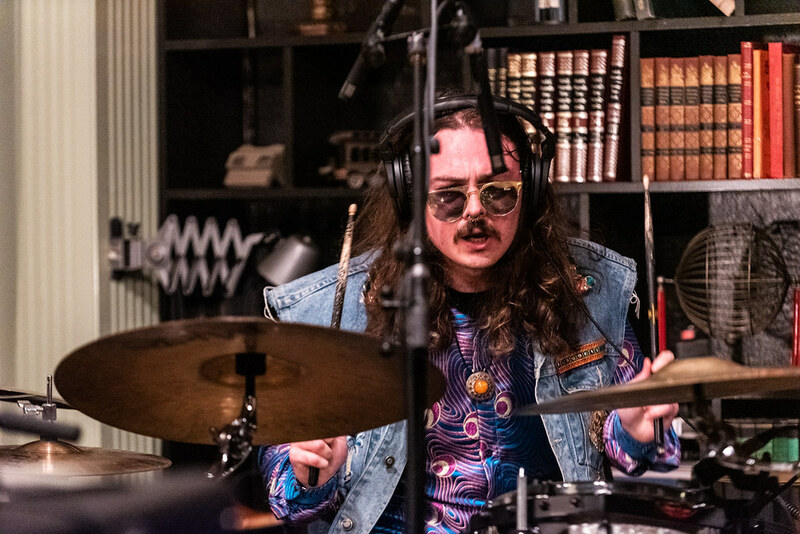 It was one of the most magnetic and electric sets we've seen thus far at Iceland Airwaves, sizzling in our eardrums long after they left the room. The newest act on our lineup performs a dreamy set of indie-pop from the KEX Hostel in Reykjavik.